Now the action of Lightning Wheels® has reached a new level with motion activated sounds and multi-colored lights! 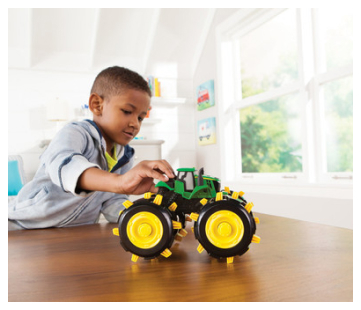 Simply roll the tractor forward or backward to activate the motion specific engine sounds and watch as the lights change color the faster it rolls! Ages 3 years and up.